Ten year old Mary Ann Appleyard worked her colorful sampler with a combination of fine wool and cotton threads. 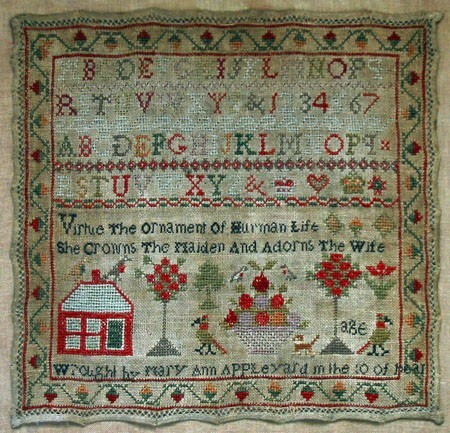 The rows of alphabets and numbers and the moral verse are typical of nineteenth century samplers. 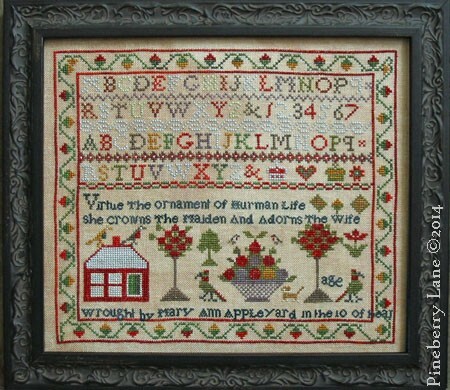 At the bottom, Miss Appleyard stitched a cheerful scene including a little red house with a green door and blue roof, birds, apple trees, a large basket of fruit, a fir tree, and a tiny dog. Stitched on Week’s Dye Works 30 count Straw linen over one and two linen threads. The Gentle Art threads used throughout. 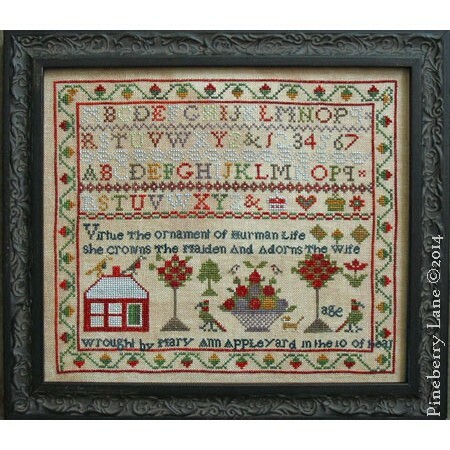 Pattern includes color photo, professional cross stitch chart, and GAST floss colors with DMC alternates. 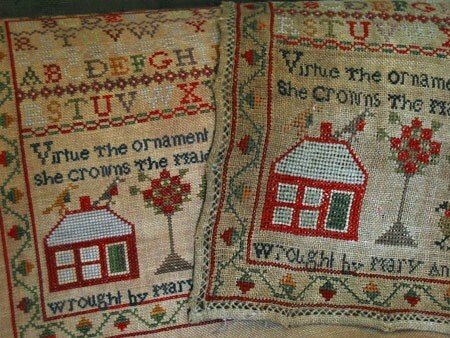 All the gorgeous Gentle Art threads you need to complete Mary Ann Appleyard. A total of 12 five yard..